Plymouth Argyle manager Derek Adams has hailed the performance of the club's debutants as they beat AFC Wimbledon 2-0 in his first game in charge. Gregg Wylde and Graham Carey both scored on their first appearances. Gary Sawyer, Jake Jervis, Hiram Boateng and Craig Tanner also played after summer moves to Home Park. "To come in and make your debut and score on your debut, and the performance of the other ones that made their debut, was outstanding," he said. 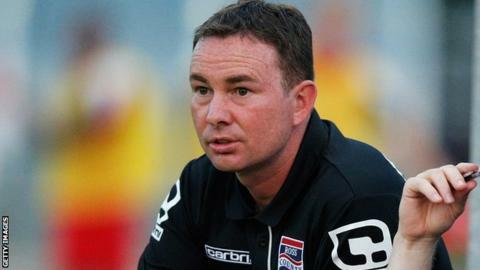 Former Ross County manager Adams took over at Argyle earlier this summer following John Sheridan's resignation, and the role is the Scot's first in English football. "When you go into any job you want to take in your own players and improve everybody throughout the squad and we're continuing to do that," Adams added to BBC Radio Devon. "To a man I said to them I was very proud of the performance and their attitude in the game."